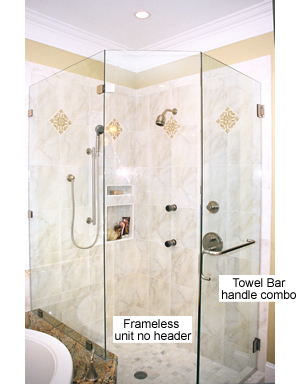 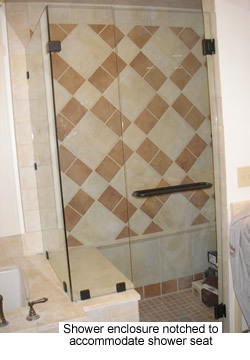 Welcome to the world of truly frameless shower enclosures. 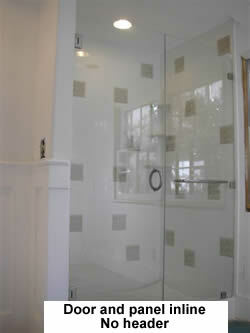 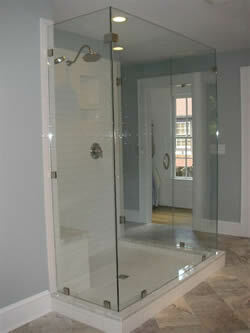 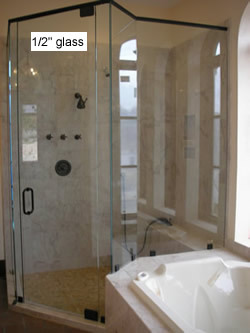 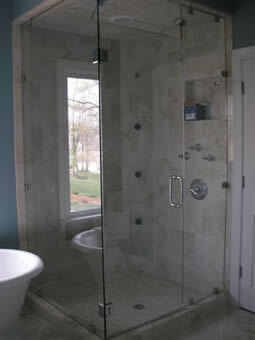 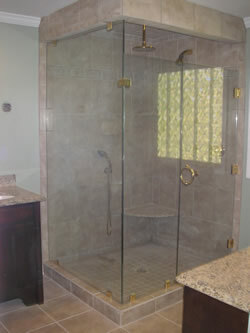 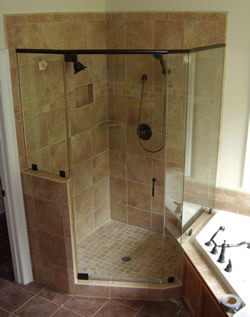 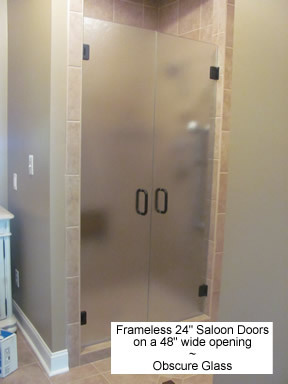 We specialize in "custom" frameless shower enclosures made to fit your exact opening. 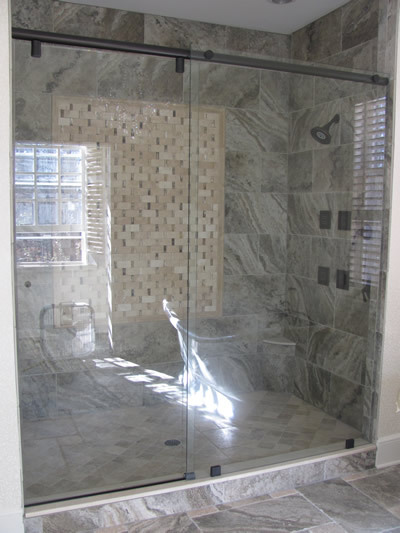 These units can be made with 3/8" tempered, or 1/2" tempered glass and we can make them to fit virtually any shower regardless of shape or size. 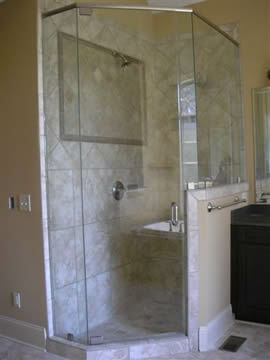 They can be made with clear glass or one of many obscure patterns. 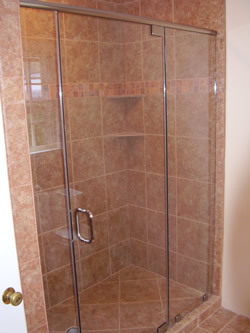 Our frameless shower enclosures are constructed with heavy duty hinges and clips which are available in a wide variety of finishes to match your bath decor. 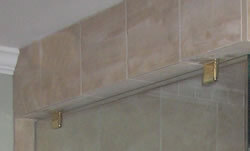 We can also provide towel bars and hooks and handle/towel bar combos on our frameless units. 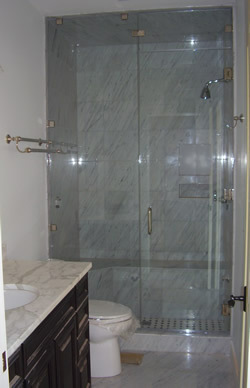 Multi-unit projects are our specialty. 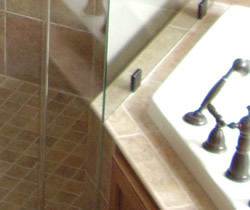 Whether it's new construction or a remodel and whether you are a contractor, an architect, or a do-it-yourselfer - we can help provide the solution you need. 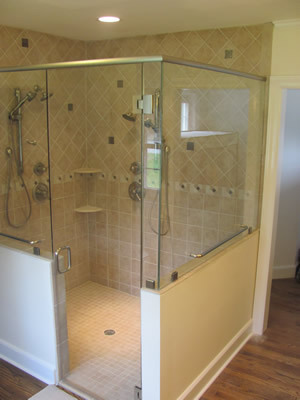 Turn your bathroom dreams into reality. 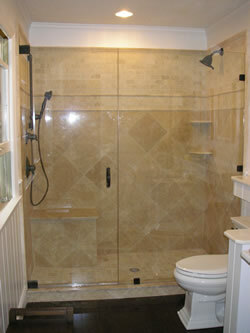 Below are some examples of frameless tub enclosures that we have created. 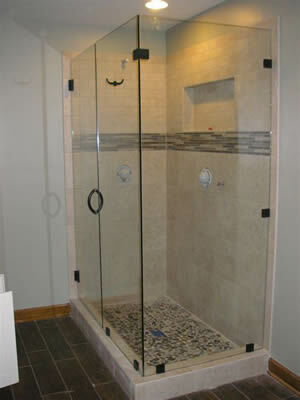 We also make our shower doors in/out swing to alleviate the problem of getting any water on your floor (this is optional). 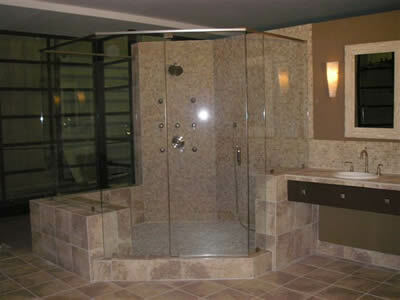 Remember that custom work is our specialty. 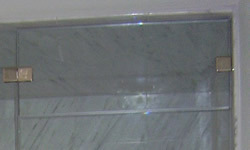 the overall height of the galss a little shorter.